Smart Vapes has just released a new atomizer designed from the ground up for direct dripping. I’m just going to start this article with an admission. I’m not an atomizer guy. There tend to be two types of vapers in the world, atomizer fans and cartomizer fans. I’m in the latter camp. I’m about convenience, I like to just fill up a cartomizer pop it on my e cig battery and go for a while. The bigger the cartomizer, the better. That being said, atomizers have their place in my world on the right occassion. First of all they’re great if you’re in those moods when you can’t make up your mind what sort of smoke juice you want to vape. You can switch gears quickly with an atomizer, try doing that with carto that holds a day’s worth of juice at a time. I also hear people rave all the time about the superior flavor and performance you can get out of an atomizer. With that in mind, I decided it was time to try something other than the generic 510 atomizers and jury rigged cartomizers I keep around (G4s make great little bridgeless attys). 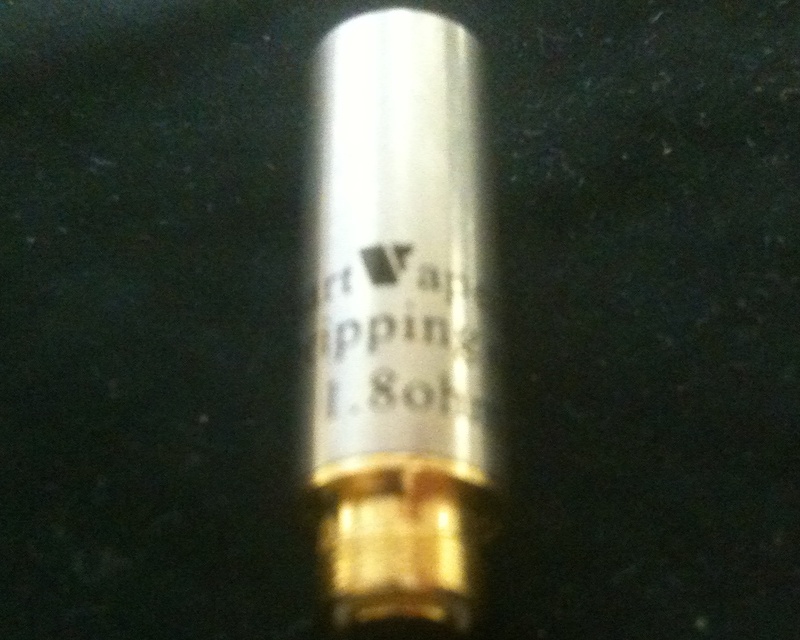 The first of the high performance atties I got my hands on was the Dripping Atomozier from Smart Vapes. The Smart Vapes atty is a new arrival on the market. This atomizer is interesting in that it was designed to be bridgeless. The seller goes to great lengths in the product description to point this fact out (multiple times!) As a result, the ceramic cup below the coil and wick is larger than a traditional atomizer allowing for more juice to be dripped. Physically, the other noticeable characteristic of this design is that the battery post doesn’t have a hole in the center, it is solid. 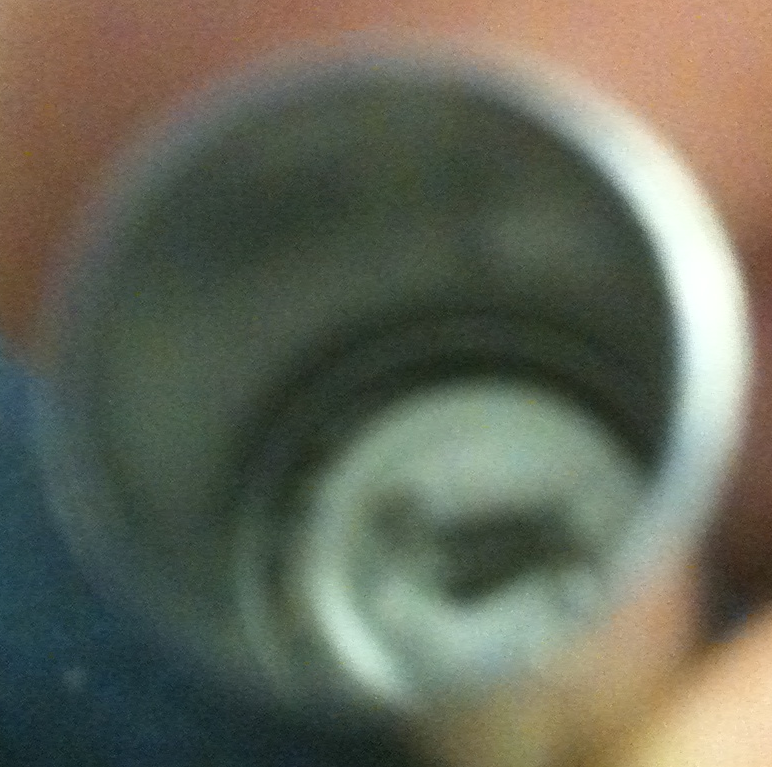 This is probably why this atomizer is listed as unsuitable for bottom feeder mods. The Dripper is available in either black or silver and are rated at 1.8 ohms and has 510 threading. The first thing I noticed right off the bat is how thirsty the wicks are on the Dripping Atomizer. I initially started with 3 drops and got a lungful of burning atomizer taste. Another 5 drops straightened that out and resulted in a couple of nice draws until I was harshly reminded again to drop. If you don’t keep the coils wet on this atty, it will punish you severely. I was coughing as if I were back up to a couple packs of analogs a day. Keeping the dry hits at bay is a constant effort since this thing is a flat-out juice hog. Unfortunately, not being a frequent atomizer user, I struggled to find a happy medium. I found myself alternating between dry hits and juice dribbling out all over my trusty eGo battery. That is an interesting aspect of this atomizer, it never seems to flood, just drool. For testing, I used a 650 mAh eGo primarily, with a little bit of time on the 3.7v box mod. Since these are 1.8 ohm atomizers, I didn’t use high voltages for testing. I used a number of juices, but for performance purposes I used my standard cherry tobacco from Blue Mist (80% pg 18MG nic). Ignoring my issues finding a sweet spot, performance was far better than my de-wicked standard 510 atomizer in every aspect. Draw: The draw is a little airy, adding the eGo cone helps a little. If you like very tight draws, you may be turned off. Other notes: As is typical with low resistance atomizers, the Dripping Atomizer will heat up quickly during moderate use. Try not to put your tongue directly on it after heavy vaping. The Dripping Atomizer from Smart Vapes is a 510 threaded 1.8 ohm atomizer new to the market. The atomizer was designed as bridgeless and features a large juice cup under the coil. The dripper likes a lot of juice and is prone to dry burning with little provocation. Unfortunately, it is just as easily overfilled (but not flooded) making for a fine line keeping the correct amount of moisture in the chamber. If you walk that line, you will be rewarded with an excellent vape. Excellent post brutha…i'm gonna try these bad boyz right f'n now! Great review, I recommend using at least %50 VG it will help with any leaking issues. Thanks! Thanks! I probably should switch juices for atties in general, I always use a high PG concentration and a majority of them leak as a result.